including lumber, plywood, molding, tools, hardware, and so much more. 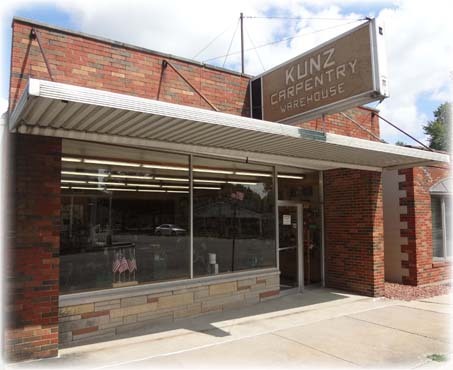 Note: Kunz Carpentry Showroom (cabinets, furniture, etc.) has different hours. 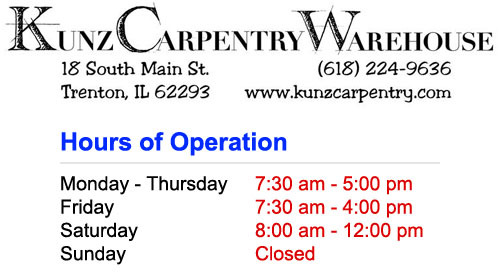 Click here to see the showrooms hours.